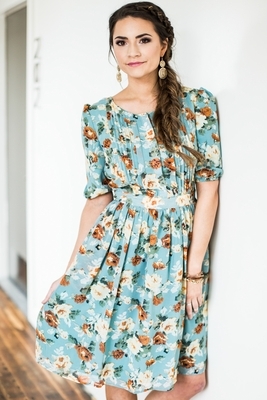 The Layla dress is so fresh & fun! The charming pistachio sage background sets off the pretty pops of color in the floral print, including rust, pale yellow, cream & green. The light and breezy chiffon material is cool and comfortable. 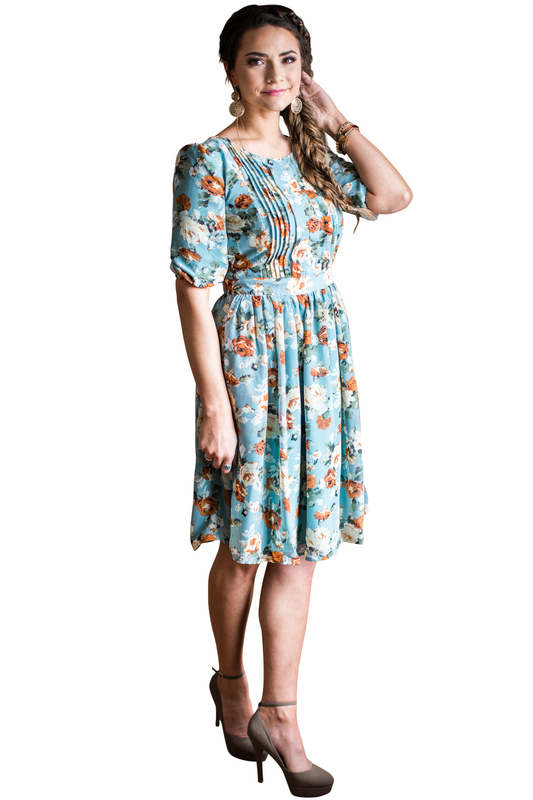 The pleated placket top, round neckline, half sleeves and faux belt make this dress super stylish! Dress is fully lined including the sleeves & has pockets! The pleated placket bodice has concealed buttons down the center, making this dress nursing-friendly! Lengths: XS-S 39.5", M-L 40", XL-2XL 40.5"